According to language expert W.B. Elley, "a rich vocabulary is a valuable asset and an important attribute of success in any walk of life." 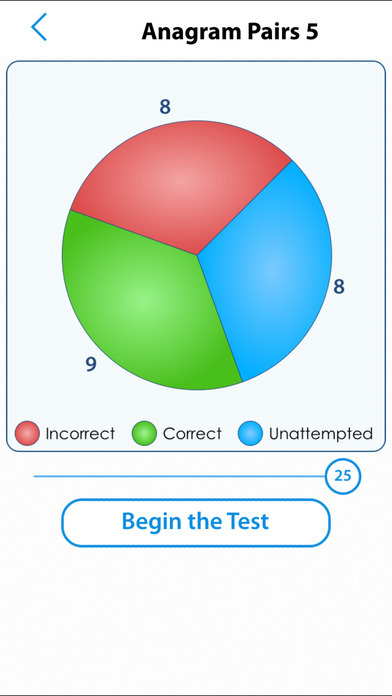 So if you would like to boost your child's vocabulary skills then this is the perfect app which will definitely be a great help to your child to build vocabulary by testing across more than 1,375 words in a differnt catagories and the mock test mode which gives the real exam experience. 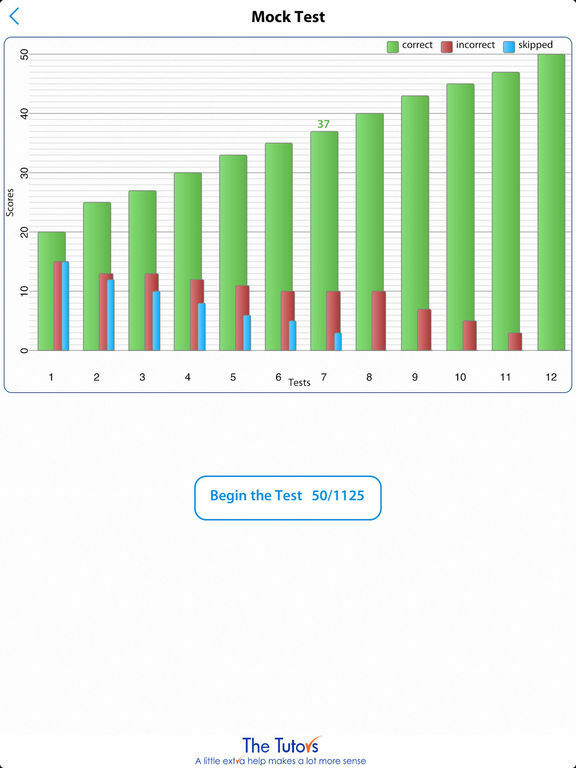 This app contains 55 full test papers that mirrors the actual 11+ vocabulary tests. Using this app, you will find that your child develop a superb command of English, and a comprehensive vocabulary very quickly. 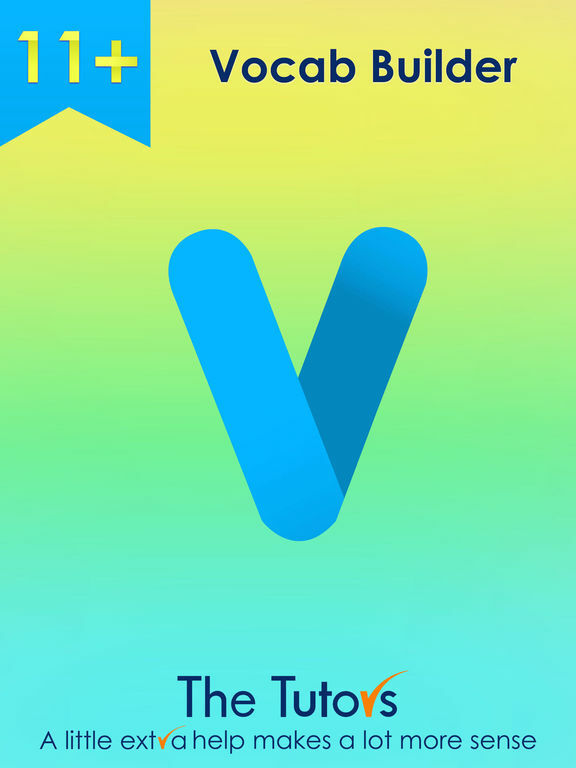 Why 11+ Vocabulary Builder app? There are 164 grammar schools in England; 160 of them set Vocabulary tests as part of their selection process. 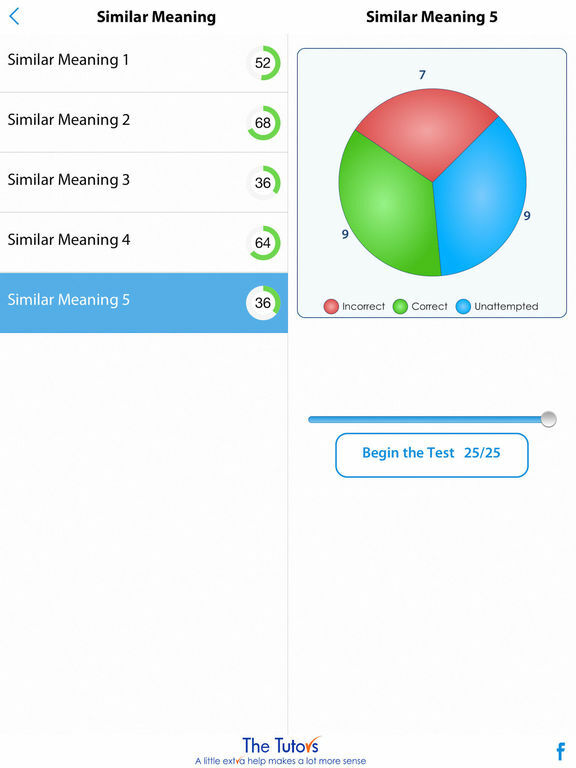 Most independent schools also set Vocabulary tests based on the 11+ format. 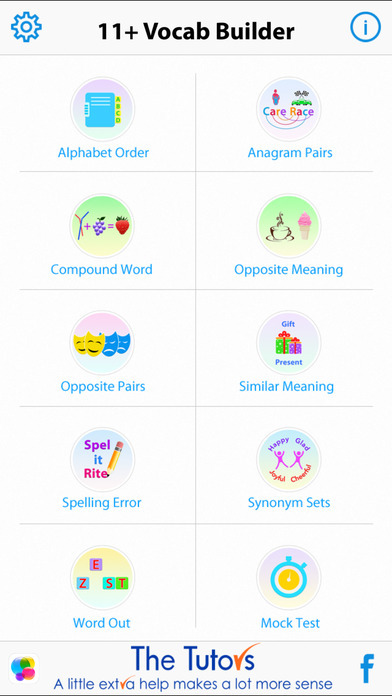 What do you need from an 11+ Vocabulary Builder App? 1. All 11+ vocabulary test type questions must be included. 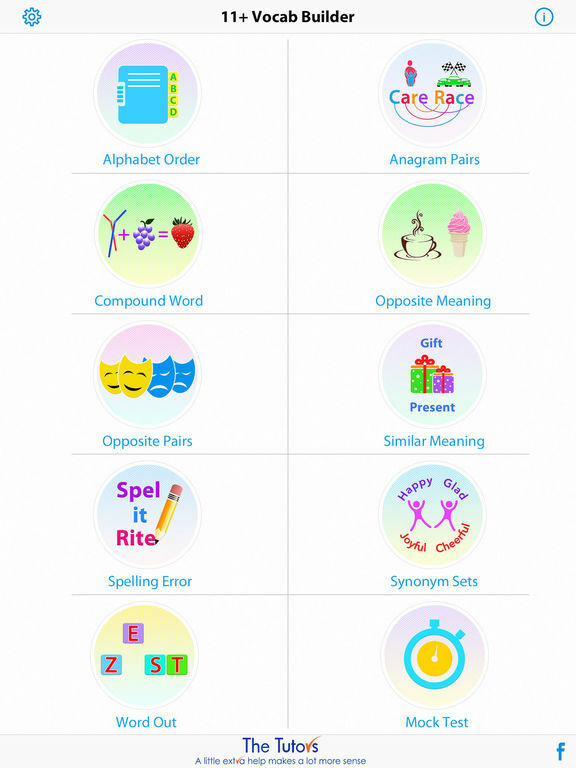 The Tutors 11+ Vocabulary Builder App gives you all of the above. We believe that you should get what you need, so we provide you with 1,375 unique questions in a single App.